I've been running strong for months. I've been averaging 25-30 miles/week, been pretty diligent about my speedwork, and ran multiple 10 and 12 milers for my long run. I ran a few short races, and maintained sub 9-minute miles at both. I was ready for this one. Unfortunately, my body had other ideas. When I went to bed on Friday night, I have to admit my stomach wasn't feeling the greatest. I kind of just shook it off, and figured I would feel better after a good night's sleep. I wasn't going to let some minor blips affect me. My alarm went off far-too-early on Saturday, but I was pretty awake, anyways. My stomach seemed to have settled, and I ate my usual pre-race plain bagel and banana breakfast. I got dressed and headed out the door to make my way to Prospect Park. My last minute weather check made me a bit nervous. It was only 55 degrees now, but the humidity was over 90 percent. The temperatures would steadily rise throughout the morning, and it was going to 66 degrees and sunny at the finish. I had heard through the grapevine that the last 7 miles had no shade - so the sunny skies, combined with the high humidity, did not seem like the greatest conditions for me. I do my best races in the cold. But what could you do? At 6:15 am, I met my friends Abbey and Dahlia at baggage claim, as we had planned. We dumped our bags and headed to the corrals. I was a bit uneasy, especially about the weather, but I still wanted to do the best that I could. When it was our time to cross the start, I stuck with Abbey and Dahlia. I figured I would try to keep a 9 min/mile for the first mile, see how it felt, and I would re-evaluate as I went along. And for the few first miles, that felt great. We hit the big hill in Prospect Park around mile 2.5, and I knew I had to adjust my pace a bit for the uphill - so I let my friends go. Once they got a bit ahead of me I knew I would lose them forever in the crowds - but that's ok, because at the end of the day, you have to run your own race. Mile 3 rolled around, then 4. I was starting to get warm from the humidity, but was still averaging about 9:15. I figured it was fine to stick to that pace - I had heard Ocean Parkway was pretty flat and even a bit downhill, so I thought I might be able pick the pace up a bit there if I was feeling good, but if not, I would still hit a PR even if I didn't make my "A" goal of breaking 2 hours. At some point in our second loop of the park, I felt the salt start to build on me - so I thought it might be a good idea to take a swig of Gatorade or two. I have run plenty of half marathons in the past, and plenty of them had sport drink on the course - the majority of them offered the lemon-lime Gatorade Endurance formula. Even though it really hasn't been hot enough to take in sport drink in training, it wasn't like the Gatorade was new to me. Well somewhere around mile 5, my stomach started cramping up. Was it directly related to the Gatorade? I have no idea. But it hurt. I allowed my pace to drop to around 9:30-9:45 or so, hoping it would help. It hurt, but it wasn't so painful that I couldn't run through it either. Mile 6 came by, and it was time for my sport food. My stomach was NOT feeling good...but I was able to choke down 2 shot blocks. I had hoped the food might help settle it....but it didn't really do much good. I willed myself to keep going - just one more mile, and then we would leave the park, and it would be downhill from there. Sure enough, I started to see signs to keep to the right to exit the park - and then the mile marker came around. As I rounded the corner to leave the park, I heard a beep. I looked to my wrist, and it was my Garmin going to sleep. I tried to get it back to training mode, but it wouldn't budge. Great, just what I needed. As I approach the water station, my stomach was just in so much pain, I make a conscience decision that I've never done in a race before - to walk through the water station. I think the walk break helped because I was able to get more water down then if I was running - but it didn't do anything for my stomach pains. And willing myself to start running again was harder than ever...but I knew if I walked the whole way, I would be out there for even longer. So I started running. I made it to mile 8...and again, walked through the water station, and started running again. Then a few minutes into the mile....I got sick. For the first time in my racing "career", I highly considered a DNF. Then, I thought about what it that would mean. I wouldn't be able to get guaranteed entry into next year's NYC half. My friends waiting for me at the finish would have no idea where I was. My emergency contact, my mom, might get a phone call from a medical tent - and that alone could give her a nervous breakdown. So, I dug deep, and kept on plowing through. At this point since I was (once again) watchless, I had no idea about pace. Nor, did I really care. At this point I thought I would have a 2:30+ race....but I just needed to get to that finish line. 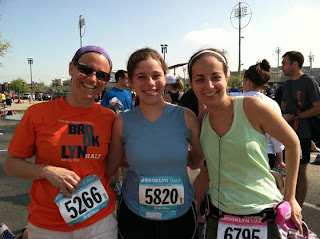 I felt the sun beating down on me (the predictions of this stretch of the race being a bake-fest were certainly true!) but at this point I was so focused on my stomach, the weather conditions were the least of my concerns. I managed to get through the next few miles with my walk breaks through the water stations. Usually when I see the mile 10 sign in a half marathon I get amped and I'm able to pick the pace up....but this time I thought "omg I have to do this for another three miles?!" Miraculously, my stomach finally began to settle around mile 11.5. I even considered skipping the mile 12 water station, but at this point, my time was so off I figured it didn't matter anyways, and I didn't want to tempt fate. I knew the finish was on the Coney Island boardwalk - so when I started seeing ocean, I don't think I ever have felt more relieved. I turned on the boardwalk, and felt the energy of the crowd. I saw the carnival rides come into focus....and then in the distance, I saw the finish line. I was going to make it through. I crossed the finish line, and caught a glimpse at the clock - 2:14, meaning I had finished in 2:10. With all my walk breaks, I thought how was that possible?! I guess when I was running, I was running stronger than I realized. I made my way through the finisher chute, and back to baggage. I found Abbey and Dahlia (who both had great races for the record!) along with a few others, and I was so happy to just sit and relax for a bit...and breath a sigh of relief that this race was over. 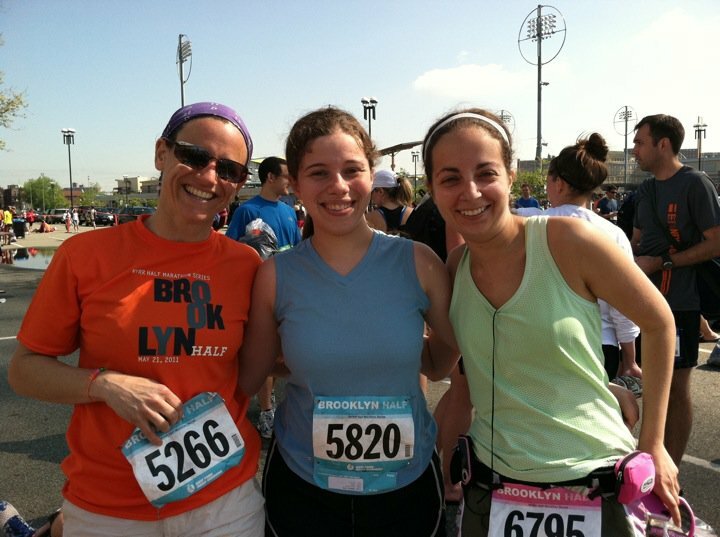 Abbey, Dahlia, and me post-race - thanks, Dahlia for remembering to take some time to snap some post-race photos! But despite my finish time, I'm still pretty proud of this race. My body was screaming "no! no! no! ", but I refused to give up. And when I was running, I was obviously running strong - I obviously don't have my exact mile splits, but my results say I averaged 9:57 min/mile - so I don't think I was crawling along as slowly as I felt I was. And sure, I didn't get my sub-2 hour race, but I think this race proved to me that I am stronger than I realize...which is the boost I had wanted to go into marathon training...just in a different way I had planned for. And, on top of it all, - I'm officially 1/4 of my way into the NYC Half Marathon, and 1/3 into the NYC Marathon for next year. PS - I don't want to give too much away quite yet, but I'm gearing up for my first official giveaway next week - so don't forget to hit "follow" so you can partake in the fun! After all, who doesn't love free goodies, right?! i think you did awesome! plus actually walking/running through water stops can help you rejuvenate and get better times! Wow!! I can't believe this happened to someone else as well! I was feeling strong going into the race and very good for the first 4 miles, and I've never dropped out of a race before either. That all changed after I had that Gatorade, and I'm not stranger to it either. I had the same experience you did with struggling through all of the middle miles of the race and finally seeming to get over it by mile 12. That is crazy but congrats to you on finishing! I think NYRR mixes the gatorade a bit strong; I like to alternate gatorade and water in NYRR half marathons. If you're eating, though, your food may provide the electrolytes you need, anyway. When I started running longer distances I had trouble keeping water down, and I think just doing it for a while has made my body adjust, but some days just aren't your day, and that's always going to happen. Good luck in Queens! Great job for hanging in there when feeling sick! I'm sorry you had stomach problems during the race! P.S. I stopped following your blog on Google because every time you post, a bunch of information from your blog shows up on my dashboard as separate posts. I really don't know why it's doing that. I'm still reading, though. Loved reading your recap! Great job on this half, you should be so proud!! I'm glad you're proud because you should be! WTG pushing thru the heat, humidity and stomach probs. I know you'll be back running the race of your dreams soon! Man, I can't imagine anything worse than stomach issues during a race like that. It's amazing that you dug so deep and kept going - it says a lot about you! I guess all races are learning experiences, good or bad, eh? On to the next! Way to hang in there!! Your story was me last year almost exactly!!! Once I started running I felt great and made it twice around in a PR. By the time we were finished in PP the humidity was starting to take over. The more I hydrated and gelled the worse I felt and by mile Nine...where I thought I would be picking up the pace a bit, I was faced with leg craps and the urge to spew everywhere. I made it to the finish, like you, almost same time, too!!! By the time I got back, to the car my stomach was so sick(and I didn't even take in the Gatorade!!!) I knew something wasn't right b/c my breakfast from 2 hrs b/f the race came up! (I know, TMI) That's the reason I was afraid to sign up this year. I'm sorry you had a similar experience as I did. I wouldn't wish that on anyone! But, hopefully we will be more successful in Nov!! See you there!!! Happy training! So sorry this was a tough race for you — but I'm so glad you plowed through and avoided a DNF. The best part? It's over, you learned from it and now you get to go on and rock your next race. Congratulations on still finishing with a great time despite the setbacks. Rock star! Great job on your race!!! We never know what our bodies are going to do that morning during the race. hmmmm, yeah, that IS weird about the Gatorade, but i think if you were having tummy troubles the night before, that's probably what the actual root of the problem was (with the Gatorade only further irritating it somehow). it's funny, some people say they think nyrr mixes the G'rade strong and some say they think it's mixed weak. i really crave water when i'm racing, so i actually try to avoid G'rade while running and rely on my gels and/or gummies for that extra boost. it's good that you were able to power through the pain, though! i, too, thought i was gonna have to call it quits before we even got out of the park! Great job on finding the strength inside to finish! Now you know if you can do this, you can do anything! Love your blog. I'm sorry you didn't have a good race but think you did so well despite the challenges. My Garmin freaks all the time too. Thanks for stopping my Foodtrainers, I mentioned the race in my post today (it was humid!). Loved your recap. Wow great time with all stomach things considered. 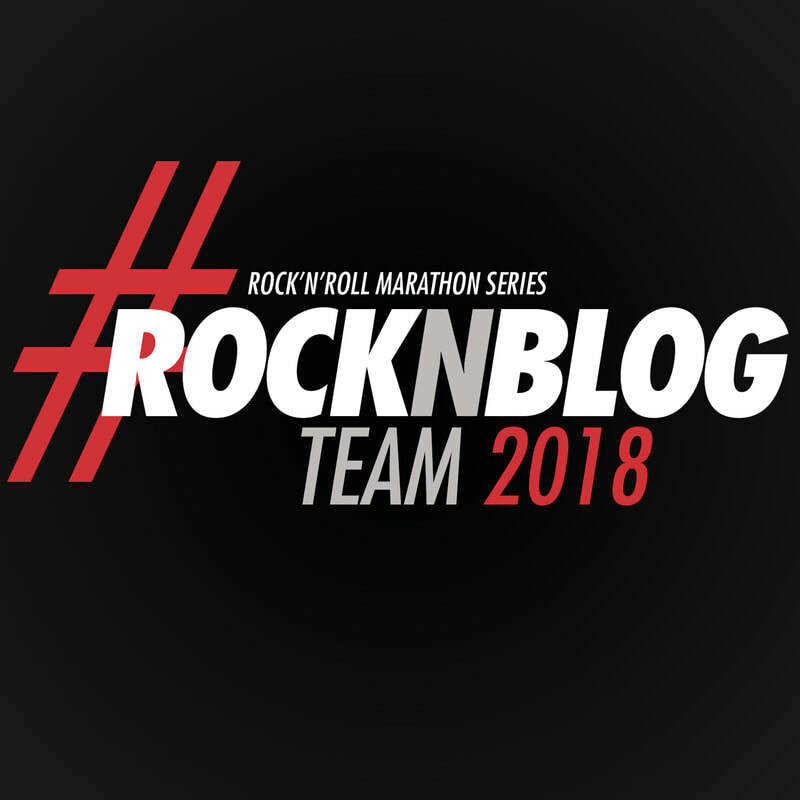 I'm running the Ottawa half tomorrow (ek!) im excited though!! Hoping we can avoid the humidity though! Ugh, can totally put the kiabosh on plans, eh?